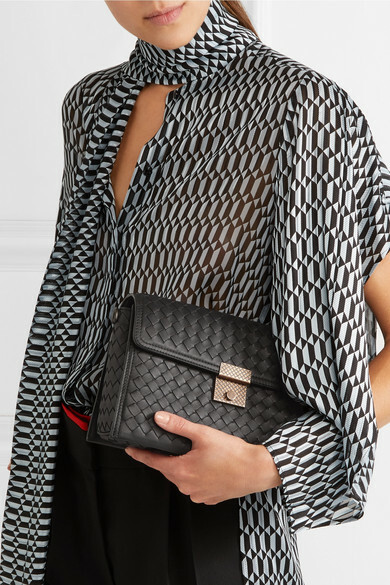 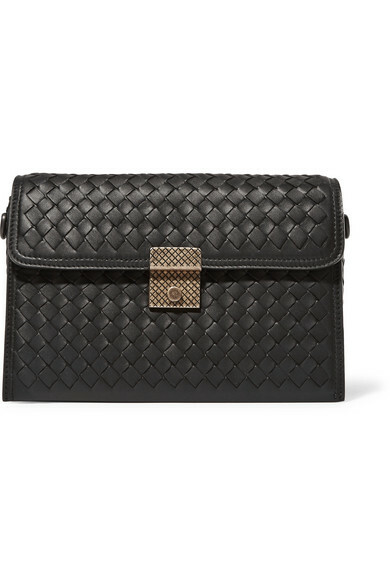 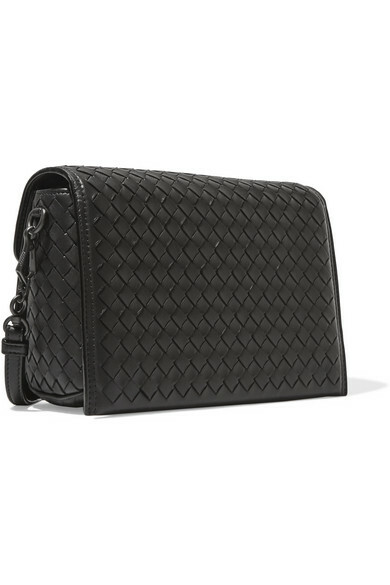 The distinctive intrecciato weave on this bag was invented by Bottega Veneta in 1966 to make its accessories more durable - we like how it also appears etched onto the clasp. 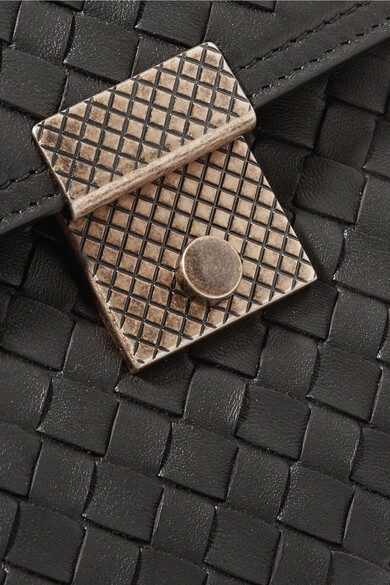 A compact version of the brand's 'Messenger' style, this piece is entirely hand-woven from leather in a boxy shape complete with contrast stitching and hand-painted edges. 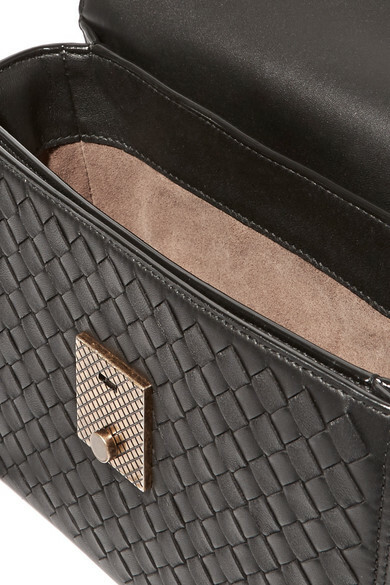 It's spacious enough for your daily essentials and larger smart phones. 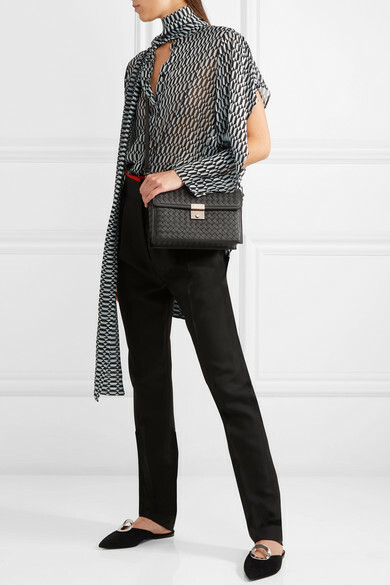 Shown here with: Fendi Blouse, Haider Ackermann Pants, Proenza Schouler Slippers.